Turner Broadcasting announced today that its second flagship kids brand, Boomerang, is being re-launched as a global all-animation, youth-targeted network, repositioned with a line-up of timeless and contemporary cartoons programmed for family co-viewing…. Drawing upon the vast resources of the world’s largest animation library — consisting of Warner Bros., Hanna-Barbera, Cartoon Network, and MGM studios television and theatrical shorts, series, and specials — Boomerang’s on-air schedule will be anchored by such timeless favorites as Tom and Jerry, Looney Tunes, The Powerpuff Girls, and Scooby-Doo. Along with a slate of newly-acquired contemporary series produced by studios around the world, Boomerang will also introduce a refreshed on-air environment and for the first time offer exclusive original content on the network across its 13 international feeds. Outside ads are coming to the network, it gets a new logo, and the aim now becomes families instead of history, but they’re adding original content. 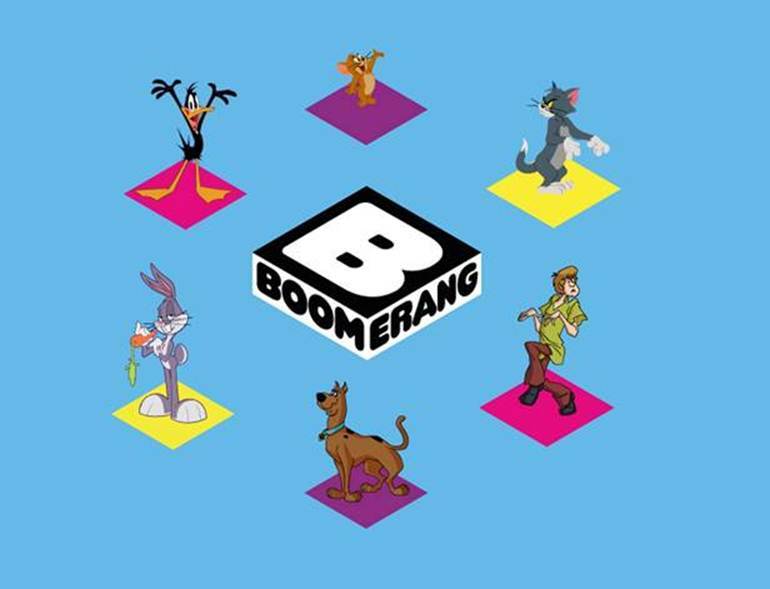 Beyond its on-air presence in more than 250 million homes, Boomerang also will be supported with refreshed digital and mobile platforms, including a newly refaced website that features exclusive activities, games, and content to provide a full immersion experience for all visitors. Younger fans will be able to enjoy age-appropriate free games showcasing their favorite characters, while older users can learn more about their favorite characters and series. It seems that Boomerang will become Cartoon Network 2, focusing on brands families already know. I thought more channels meant more variety, but this matches what is happening with Warner Bros. cartoon release program for home video — more emphasis on products for the kids, with deep dives into their vaults for animation historians or adult viewers nearly non-existent. I guess that’s why, after hinting several years ago, we still haven’t seen the Warner Archive release of the Censored Eleven, originally targeted for 2011. What I was actually doing a few years back was scrambling to record to disc all the “esoteric” HB and MGM material that TW was refusing to put out on DVD (Quick Draw McGraw, Snooper & Blabber, Atom Ant, Secret Squirrel, Frankenstein Jr. & the Impossibles, Laff-a-lympics, all of Tex Avery’s (non-Droopy) MGM stuff, etc.) while Boomerang was still showing it. Kept hoping that they would someday get to the really rare stuff (Wally Gator, Touché Turtle, Lippy the Lion and Hardy Har Har, and Loopy de Loop) which they didn’t, but Loopy is now available from Warner Archive, so there’s still hope for stuff like this. Also discovered around this time that both Boomerang and CN were showing lots of Looney Tunes that hadn’t made it to DVD yet, (and looked like they never would…). So, I grabbed those too. I knew the game was up when Boomerang started airing the first wave of the early Cartoon Network series (Dexter’s Lab, Powerpuff Girls, Johnny Bravo, etc. — all great series, BTW). And sure enough, pretty soon most of the older, esoteric stuff was gone from Boomerang. But then again, probably much more than half of you reading this may have never heard of most of those characters. That’s okay. I get that. It’s just that, to me, a lot of those older characters were good friends of mine growing up. I also understand why it might not be profitable to put all this more obscure material out on DVD, since the audience for it may be limited. But we have all this amazing technology now — you’d think that somebody could find a way that we could still see all this wonderful junk, if we wanted to (without having to trawl through YouTube). That’s what Boomerang was originally for, I think. And now it’s not.